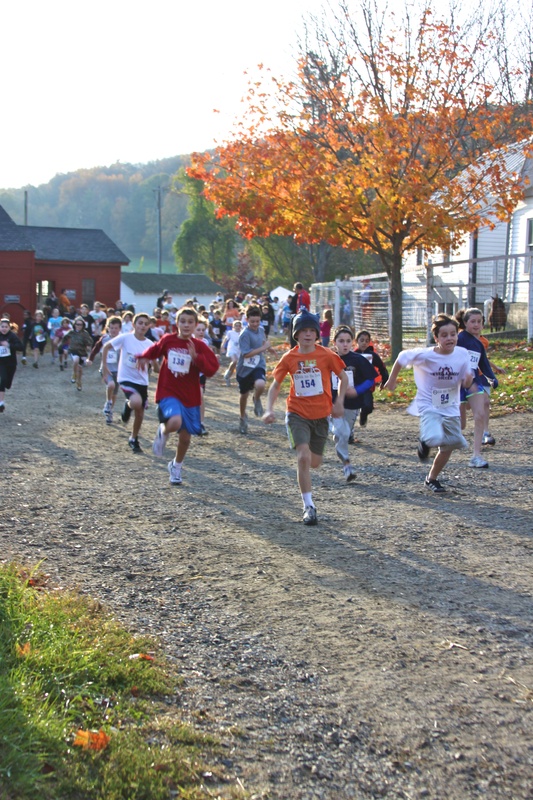 This note contains important information specific to the kids race at Muscoot Farm on October 23rd, 2011. Please feel free to get back to us with any questions or concerns that you have. Please take the time to read through the following information. On the advice of experts, we have split the field for the kids race into two groups. 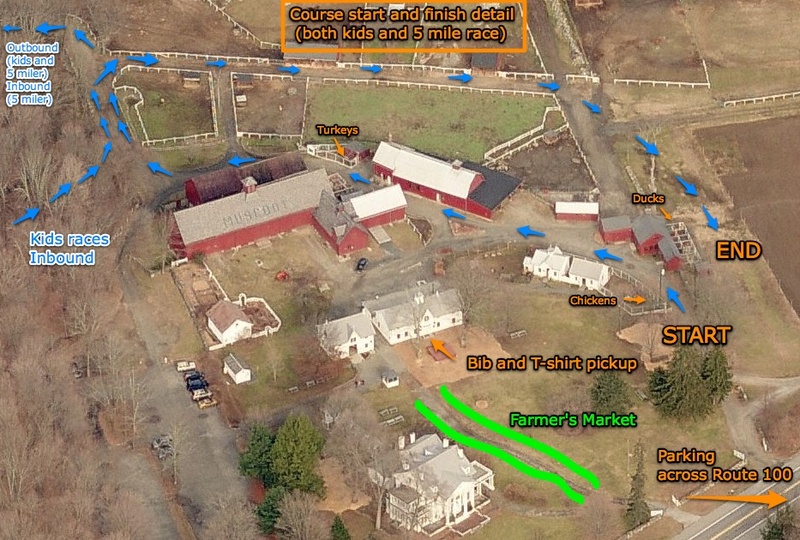 It is critical that you arrive at Muscoot Farm early enough to park and pick up your Child’s number and get to the starting line before 8:30. Arriving 30 MINUTES early is a good rule of thumb… there are plenty of animals to look at if you find you have time before the race! 1. All kids ages 7 through 12 are registered to run the 1.1 mile (2k) course. Their race will go off FIRST at exactly 8:30. 2. 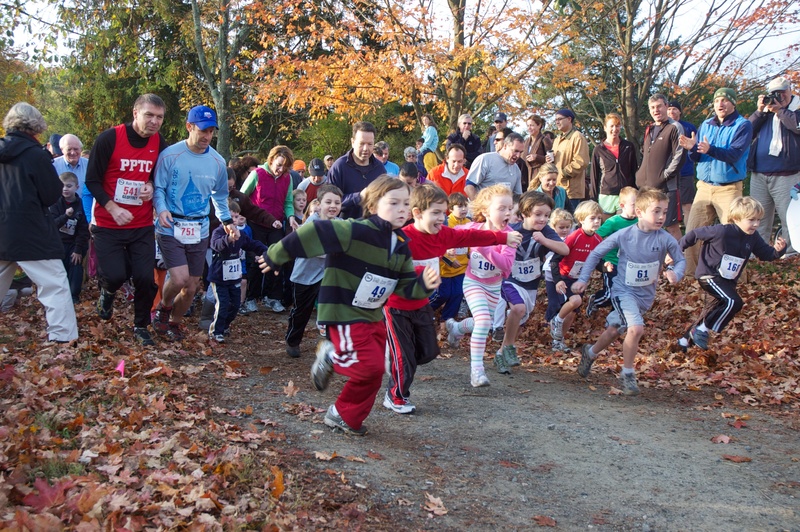 All kids ages 6 and younger are registered to run the 0.6 mile short (1k) course. Their race will start exactly at 8:34. We ENCOURAGE a parent (or older sibling who is not running the kids race) to accompany each child in the younger group. NOTE: PLEASE DO NOT ENTER THE FINISH CHUTE WITH YOUR CHILD at the end of the race. 3. Both groups will more or less finish together at the same finish line. The finish chute is adjacent to the start area for all races. 4. Every participant will receive a cross country medallion at the race finish. In addition, each kid’s race finisher will receive $2 in “Farm Bucks” to use on race day at the Muscoot Farmer’s Market. The market officially opens around 10am but many vendors will be setting up earlier and should be happy to accommodate the kids. Detail on start and finish locations for kids race and 5 miler. 5. Special awards will go to the first overall boy and girl finisher in each of the two groups. The first boy and girl within each age will also get a special award. Special Awards can not be given out until AFTER the 5 mile race has finished and been scored. 5. All PARKING for the race will be in the large field across the road from the farm. Westchester County Police officers will be directing the road traffic and seeing to pedestrian safety. Volunteers will be in the field directing car parking. Please follow their directions and park tight. DO NOT PULL INTO THE FARM YARD FOR ANY REASON. ONLY THE MARKET VENDORS HAVE THAT PRIVILEGE ON RACE DAY. 7. PLEASE BE SURE THAT YOUR CHILD IS LINED UP WITH THE CORRECT GROUP (older kids first at 8:30, younger kids heat starts 4 minutes later). We will have water available but we always encourage all runners to bring water as well. We will also have apple cider and bagels available in the barn for the kids after their race. With your help we can make this a very memorable day for all of the young runners involved. We are looking forward to next Sunday!